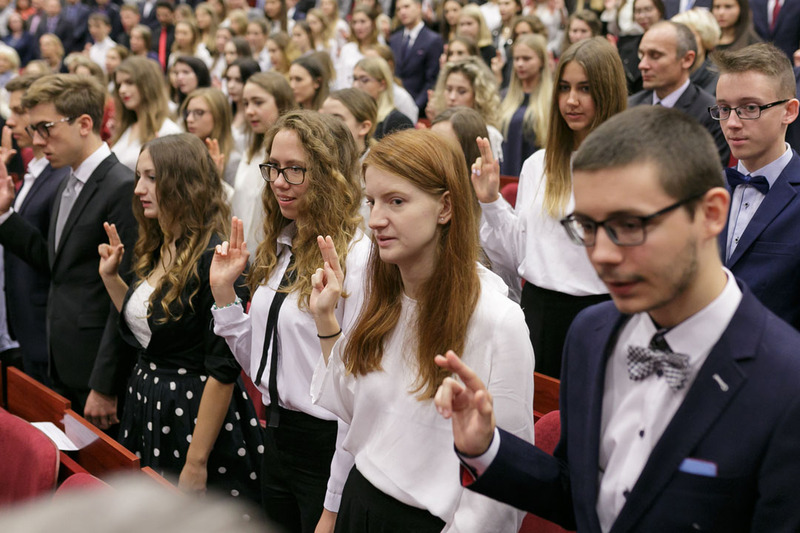 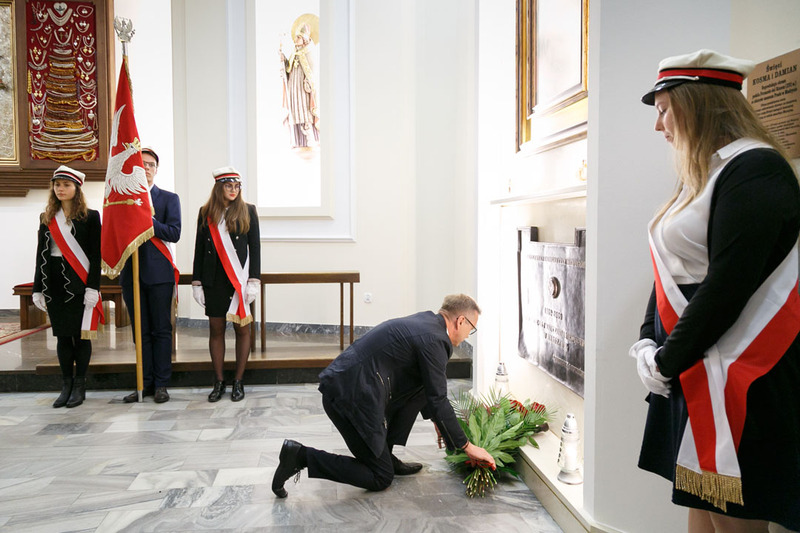 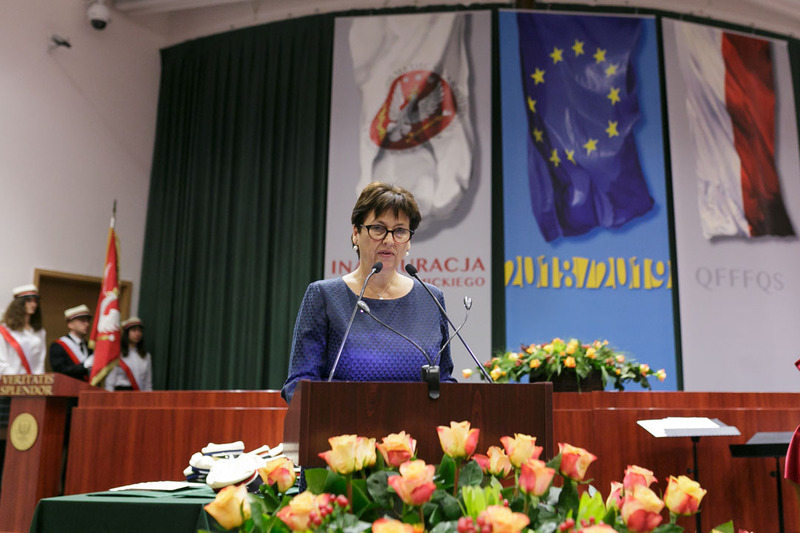 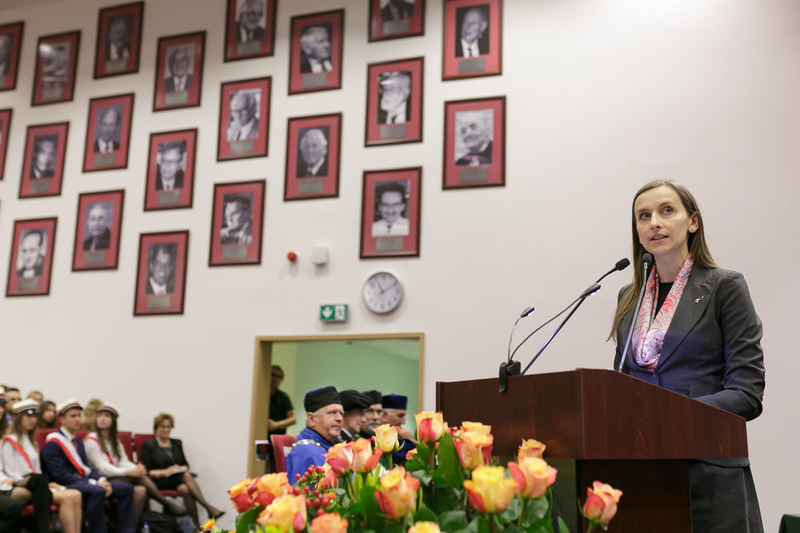 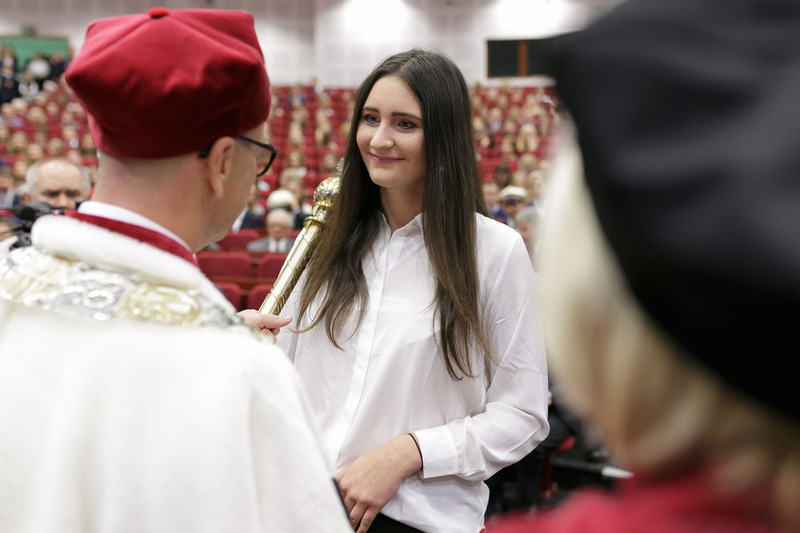 The inauguration of Medical University of Warsaw 2018/2019 academic year took place on October 2, 2018. 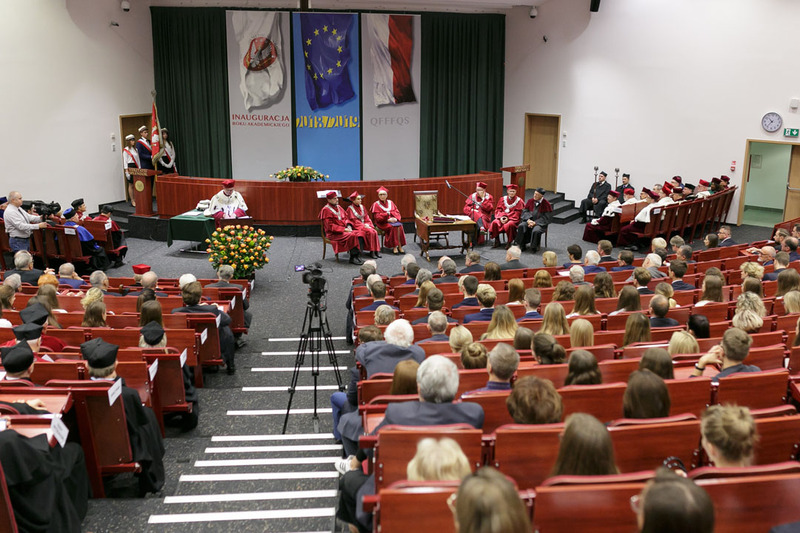 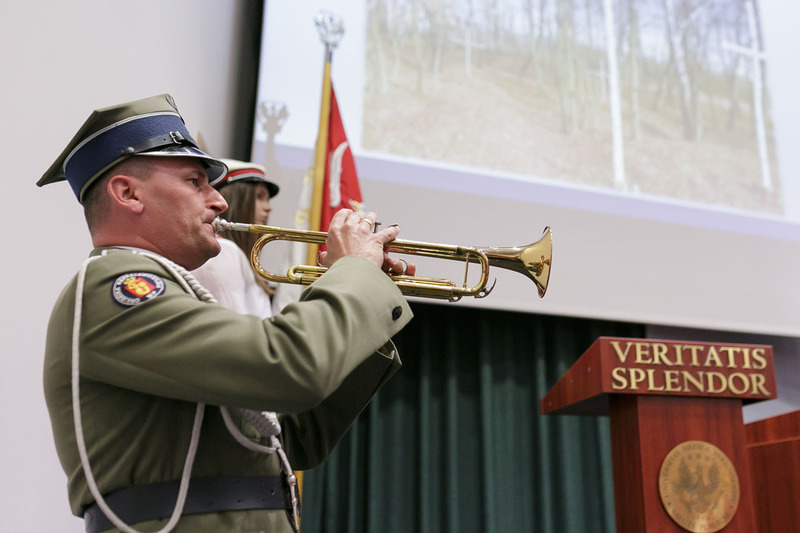 At the invitation of Medical University of Warsaw Rector, Prof. Mirosław Wielgoś, the inaugural lecture was given by the President of the Warsaw Medical Society (Towarzystwo Lekarskie Warszawskie), Associate Professor Jerzy Jurkiewicz, who paid tribute to the Polish Army in his speech, on the occasion of the 100th Anniversary of Poland’s Independence. 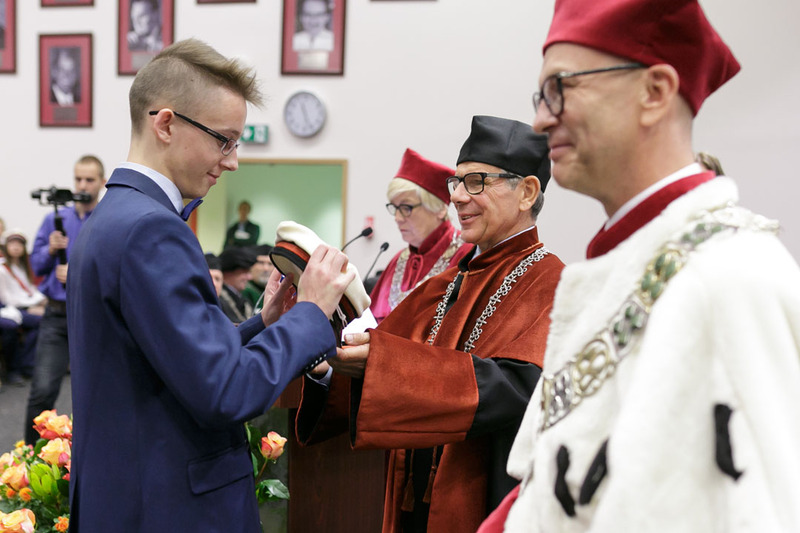 Joining the University’s academic community at this most important ceremony of the year were: Minister of Health, Prof. Łukasz Szumowski; Chief of the President’s Chancellery, Halina Szymańska; Director General of the Ministry of Health, Anna Pankowska-Gałaj; Director of the Department of Science and Higher Education at the Ministry of Health, Jakub Berezowski; Chief Public Health Inspector, Jarosław Pinkas; President of the Polish Academy of Sciences, Prof. Jerzy Duszyński; President of Prof. Jan Nielubowicz District Council of Doctors, Łukasz Jankowski; Deputy Commissioner for Human Rights, Sylwia Spurek; and honorable alumnus Witold Sikorski, M.D., pseudonym "Boruta", recipient of the Virtuti Militari Silver Cross for his participation in the Warsaw Uprising in Battalion Zośka. 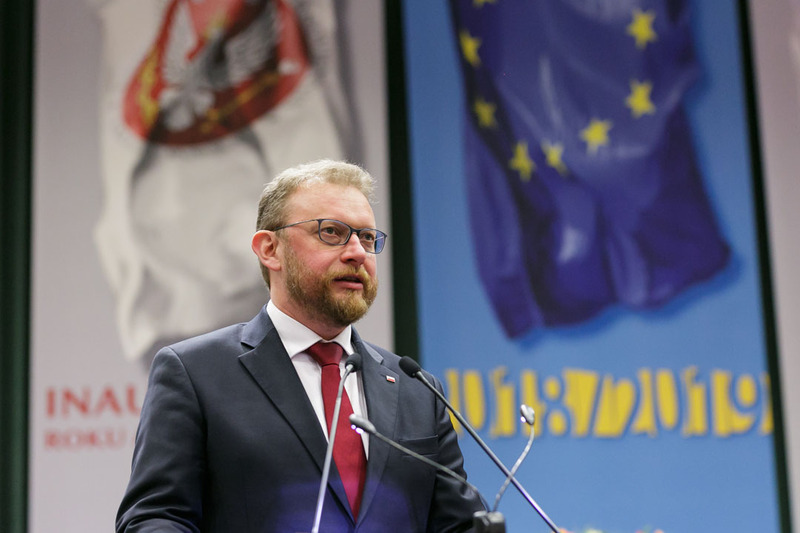 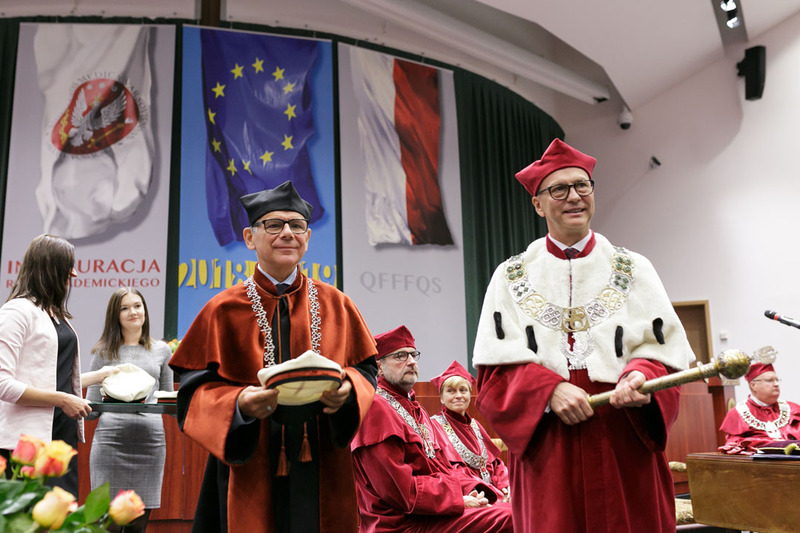 University of Warsaw Rector, Prof. Marcin Pałys and Warsaw School of Economics Rector and Polish Senator Prof. Marek Rocki were also present at the inauguration ceremony, as well as, representatives of the Polish Academy of Sciences and the Academy’s institutes. 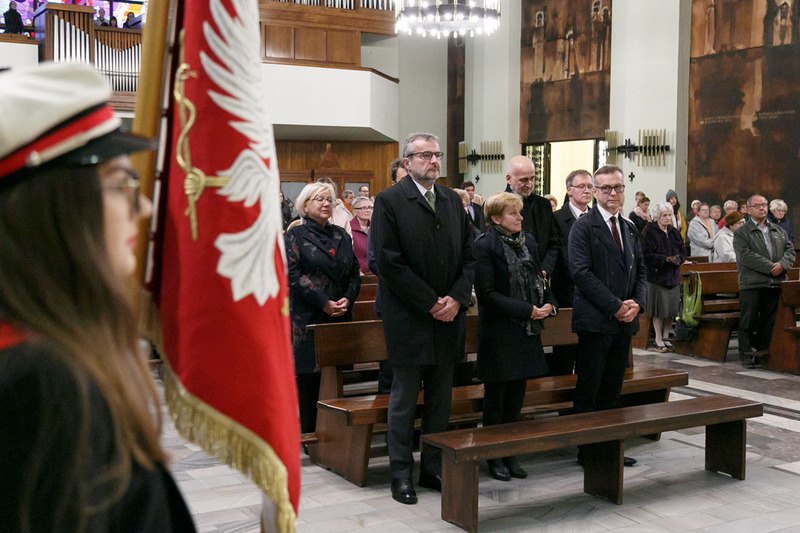 Medical University of Warsaw deputy rectors were all present: Deputy Rector for Student Affairs and Education, Prof. Barbara Górnicka; Deputy Rector for Science and Technology Transfer, Prof. Jadwigi Turło, Deputy Rector for Clinical Affairs and Investments, Prof. Wojciech Braksator; Deputy Rector for Human Resources; Prof. Andrzej Deptała; and Deputy Rector for Internationalization, Promotion and Development, Prof. Krzysztof J. Filipiak. 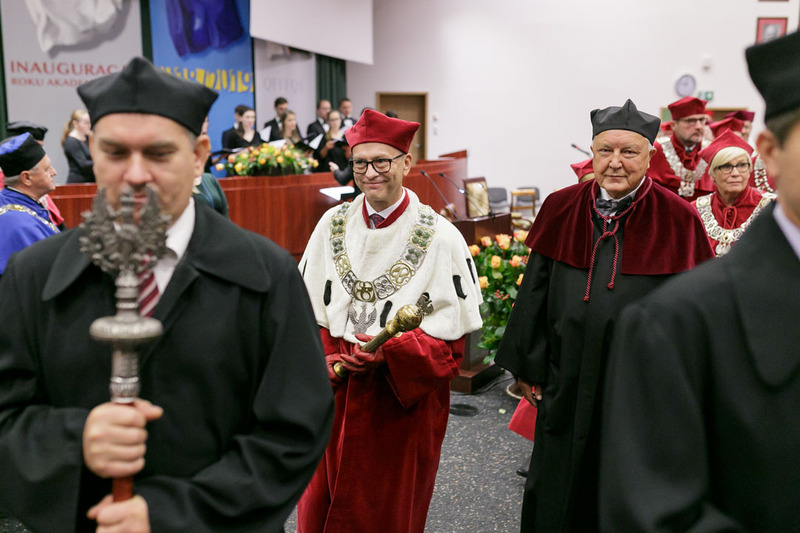 Members of the Senate and Faculty Councils also participated in the ceremony as well as former Rectors: Prof. Tadeusz Tołłoczko, Prof. Andrzej Górski, Prof. Leszek Pączek, and Prof. Marek Krawczyk. 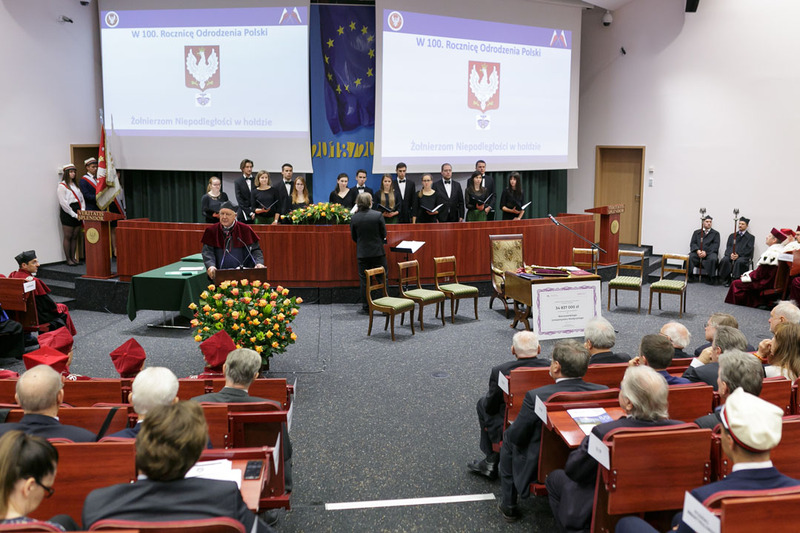 A warm welcome was extended to the oldest alumni seated in the audience: Prof. Bibiana Mossakowska, Prof. Ryszarda Chazan, Prof. Ryszard Aleksandrowicz, Prof. Longin Marianowski, Prof. Jan Pachecka, Prof. Janusz Komender, and Prof. Jerzy Kawiak. 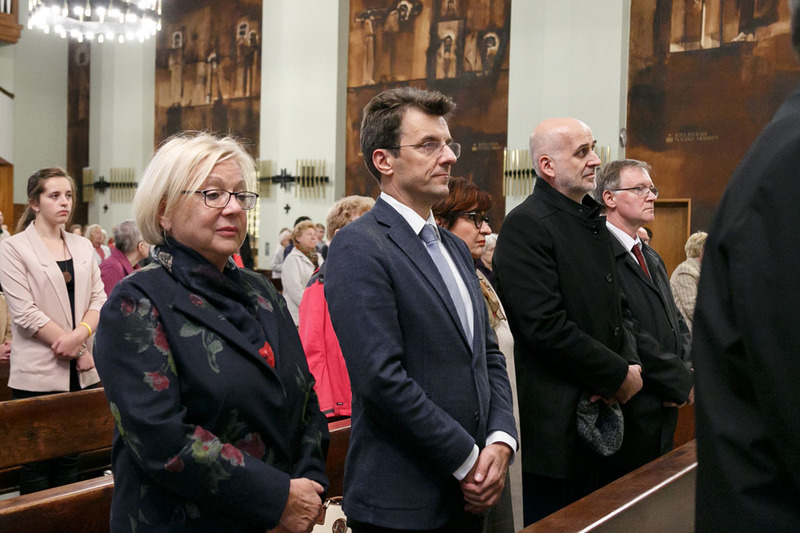 Guests also included Auxiliary Bishop of Archdiocese of Warsaw, Fr. 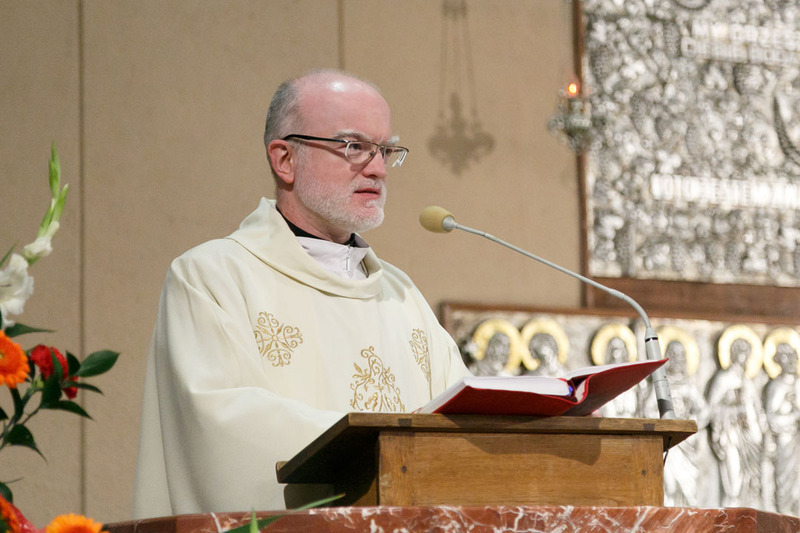 Rafał Markowski; representatives of the Orthodox Church in Warsaw, Fr. 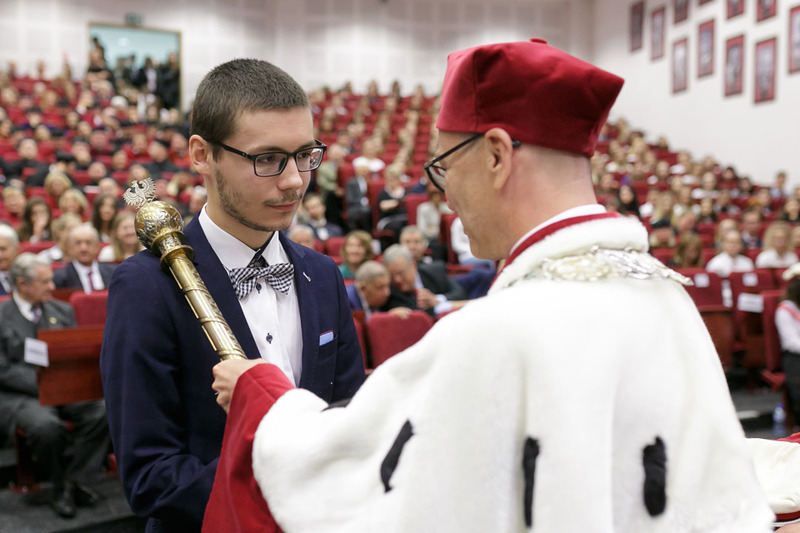 Artur Aleksiejuk and Fr. 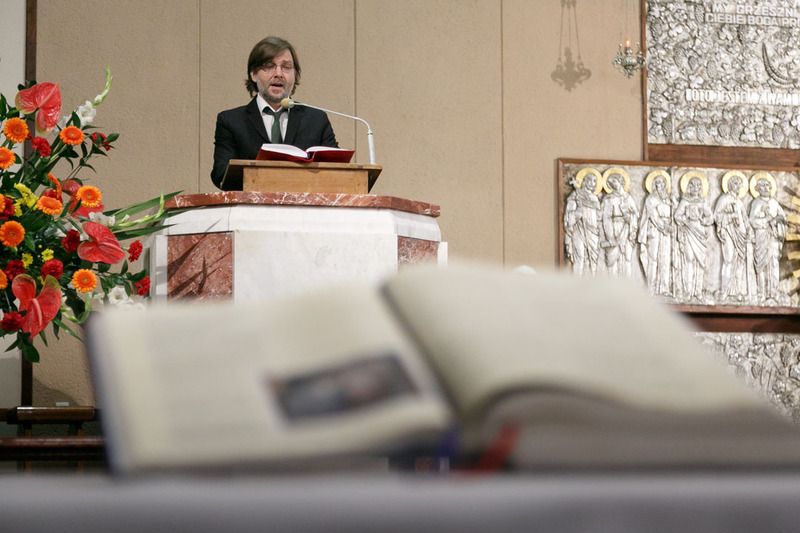 Andrzej Baczyński; Fr. 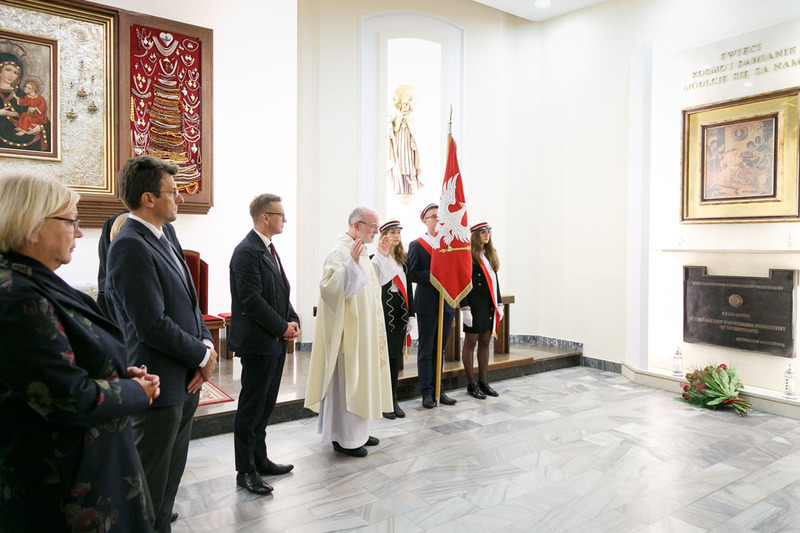 Monsignor Bogdan Bartołd of St. John’s Archcathedral in Warsaw; as well as, the parish pastor the local Catholic Church, Fr. 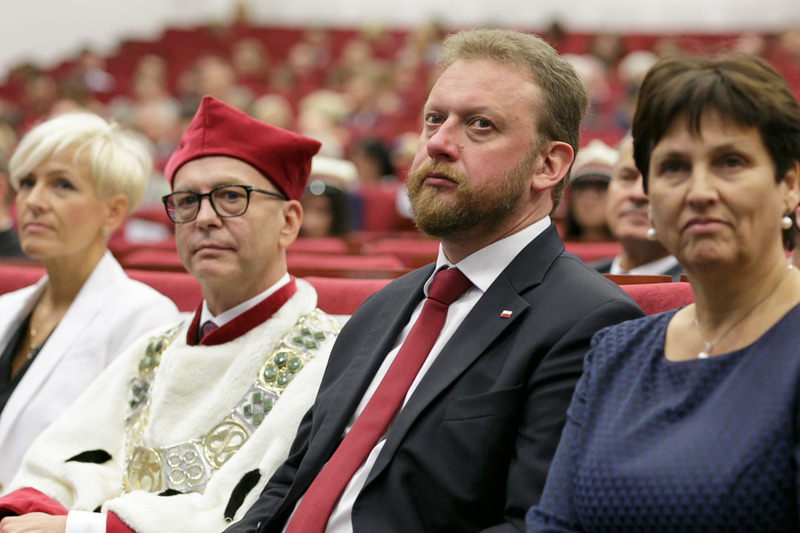 Paweł Gwiazda. 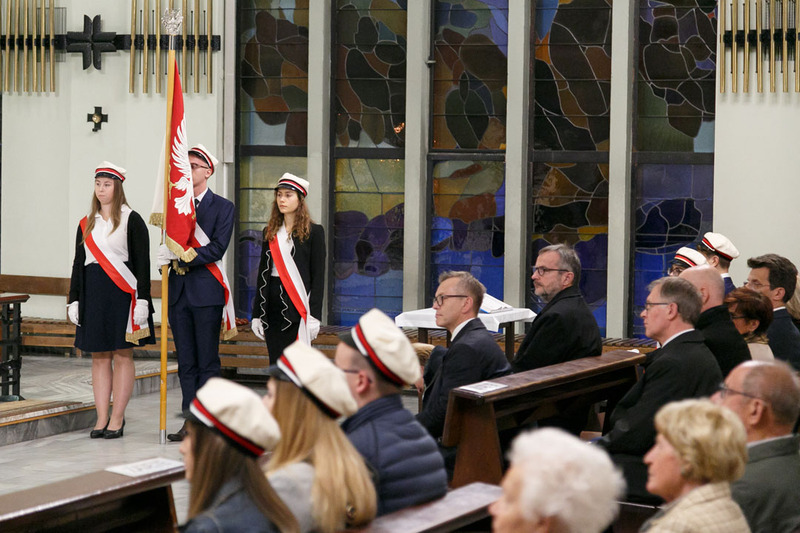 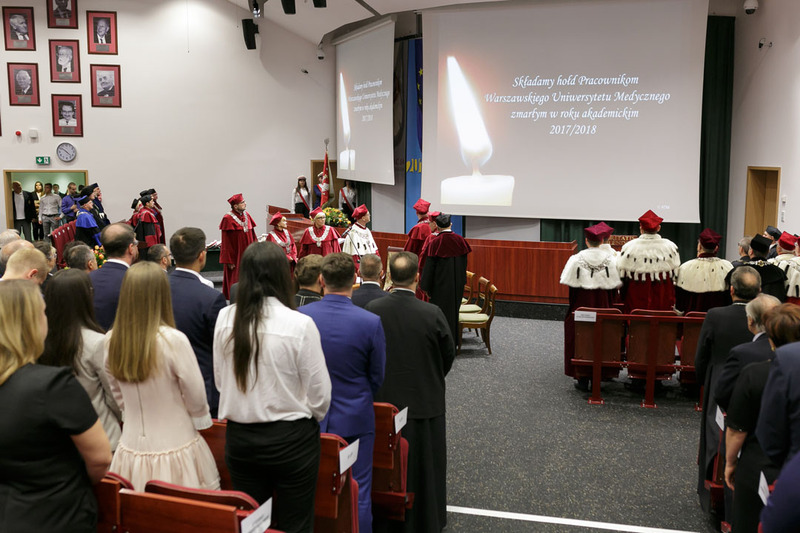 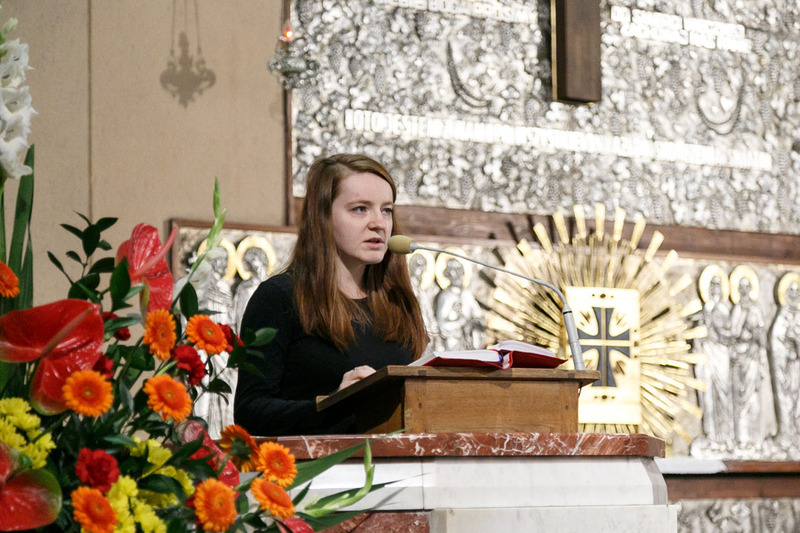 Following his welcoming remarks, Rector Wielgoś invited everyone to join him in a moment of silence to pay respect to all University employees who past away during the last academic year. 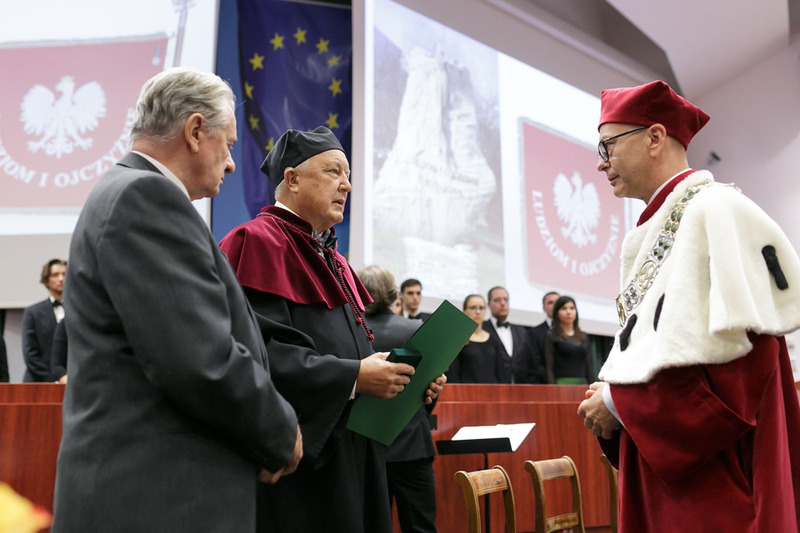 During the inauguration ceremony, the Rector received a symbolic check from the Minister of Health for the amount of 34,837,000 PLN for the University’s investment projects and the Medal of Warsaw Medical Society which was presented to him by both Prof. Jerzy Jurkiewicz, President of Warsaw Medical Society and Prof. Mieczysław Szostek, Chairman of Warsaw Medical and Pharmacy Alumni Association. 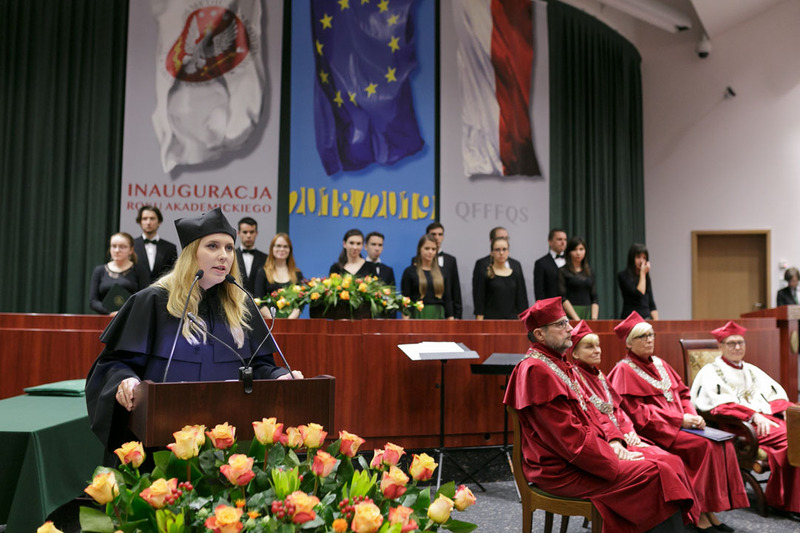 Next, Deputy Rector for Student Affairs and Education, Prof. Barbara Górnicka, conducted the matriculation ceremony. 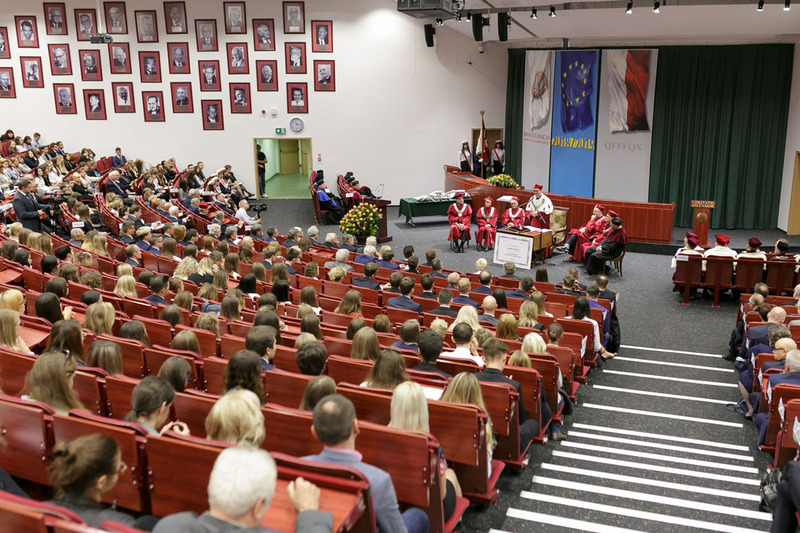 Students took the matriculation oath and the best incoming students were matriculated by their respective deans: Prof. Paweł Włodarski, Dean of I Faculty of Medicine; Prof. Marek Kucha, Dean of II Faculty of Medicine, English Division and Department of Physiotherapy; Prof. Elżbieta Mierzwińska-Nastalska, Dean of Faculty of Medicine and Dentistry; Prof. Piotr Wroczyński, Dean of Faculty of Pharmacy; and Bożena Czarkowska-Pączek, PhD, Deputy Dean of Faculty of Health Sciences responsible for Nursing. 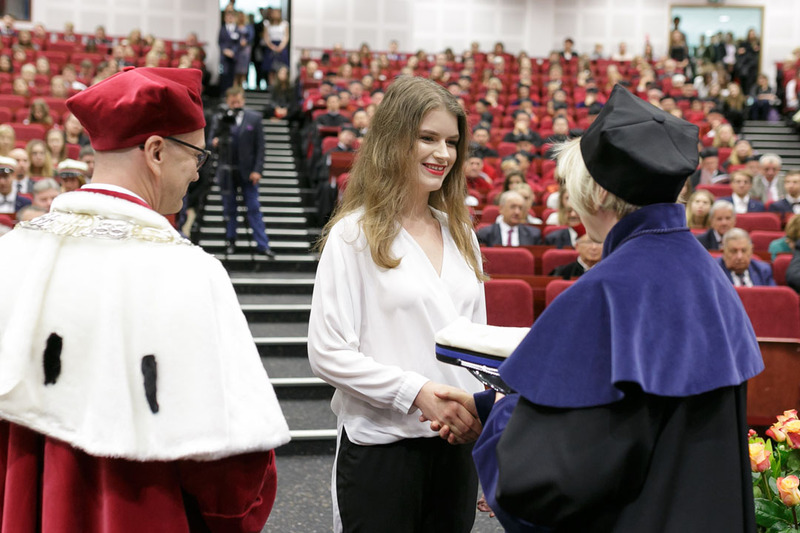 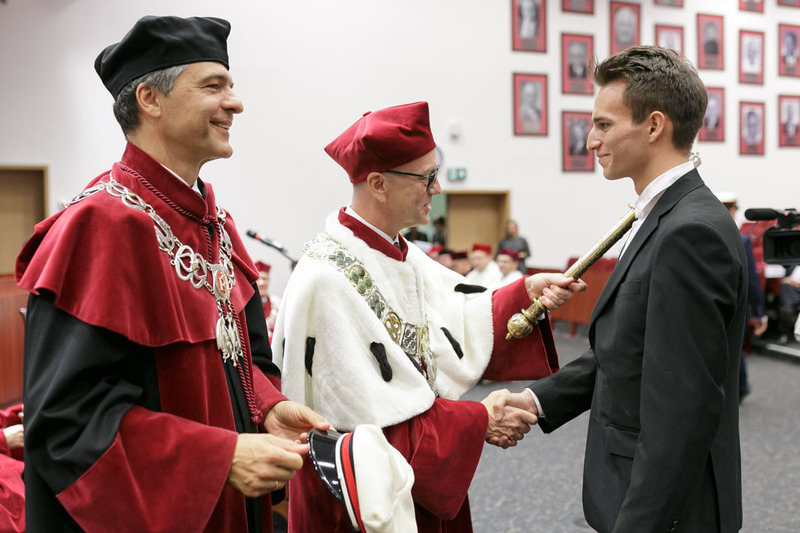 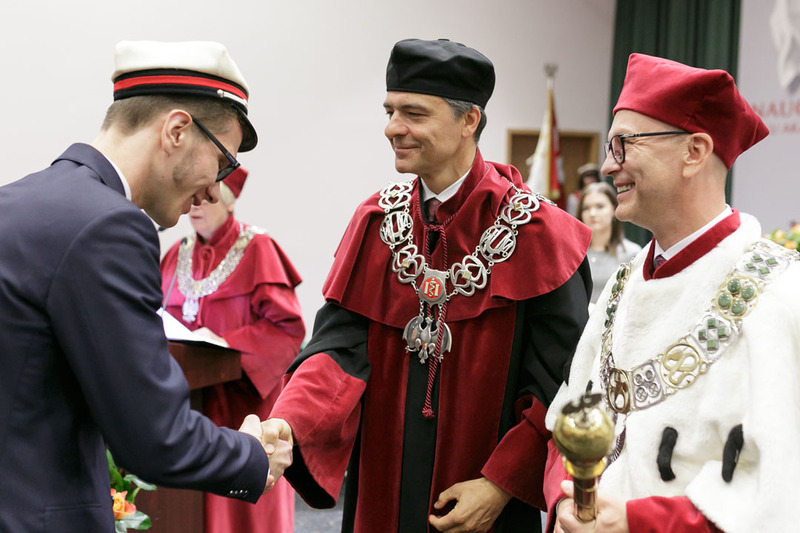 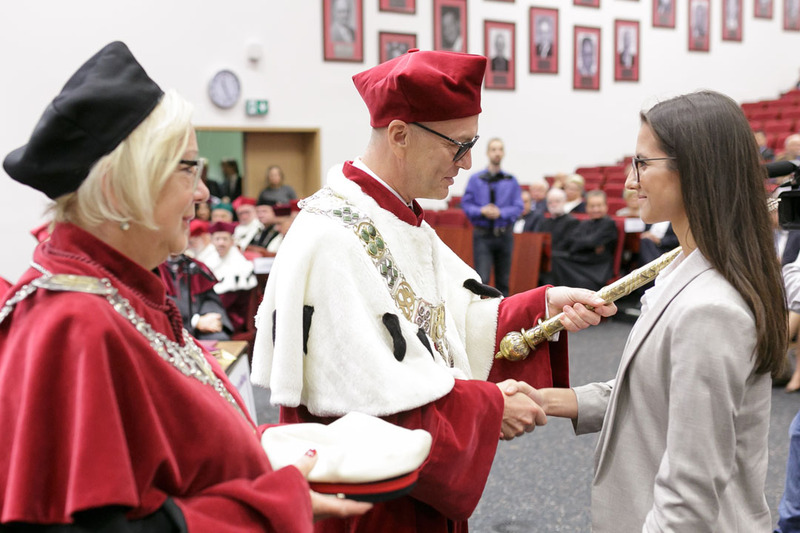 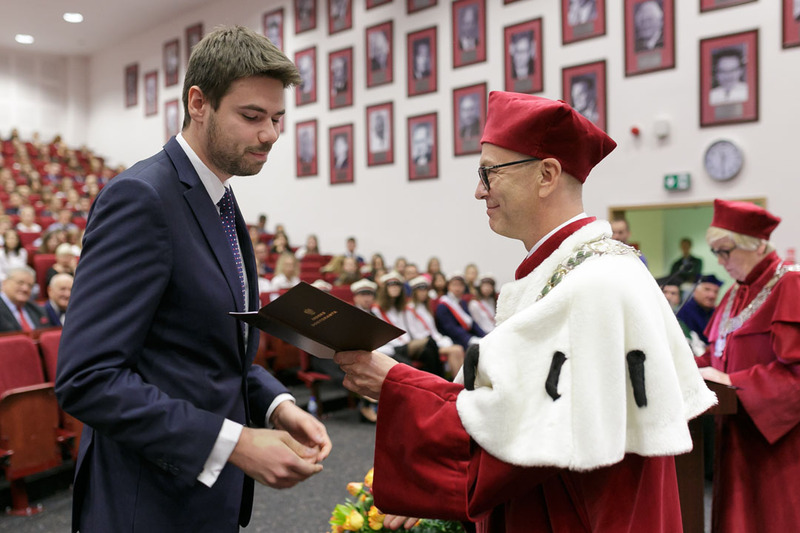 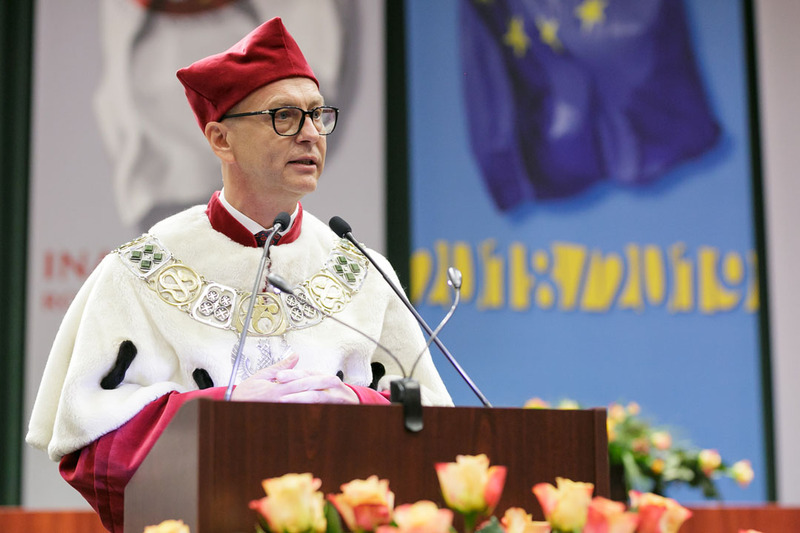 Rector Wielgoś matriculated the best doctoral students admitted in 2018/2019 to Medical University of Warsaw. 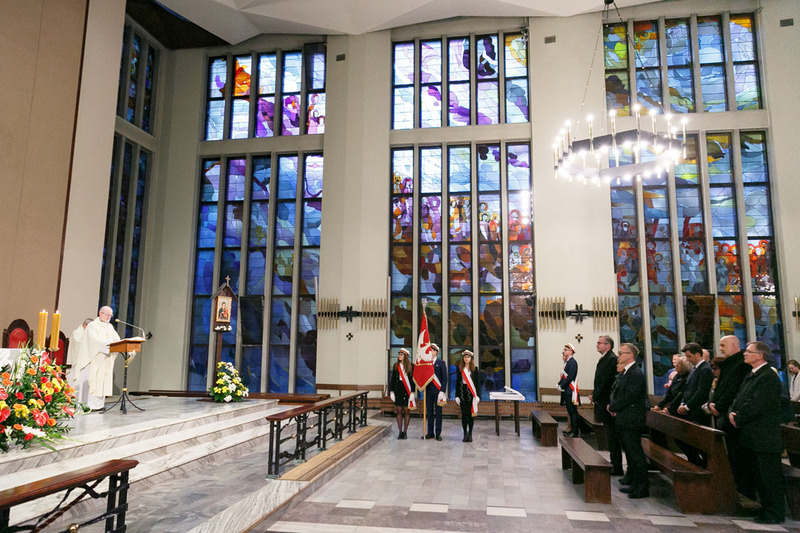 The program also included a concert of patriotic songs on the occasion of the 100th anniversary of Poland’s Independence performed by the University’s magnificent choir, directed by Mr. Daniel Synowiec as well as speeches by the president of the University’s student government, Natalia Bierezowicz and doctoral student government, Sandra Górska. 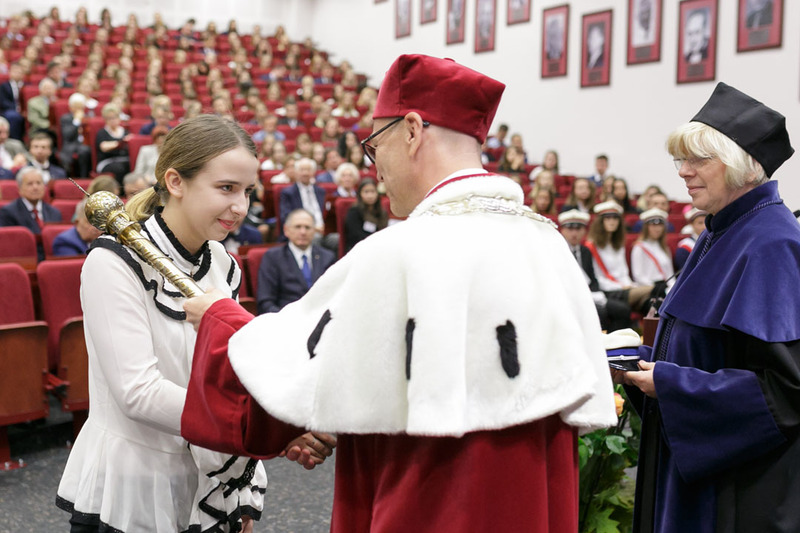 Both talked about the challenges associated with studying and about the opportunities offered by Medical University of Warsaw. 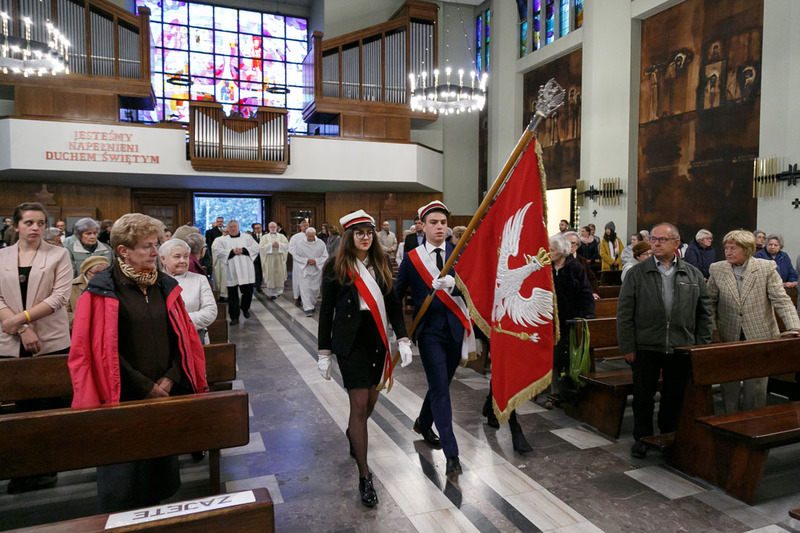 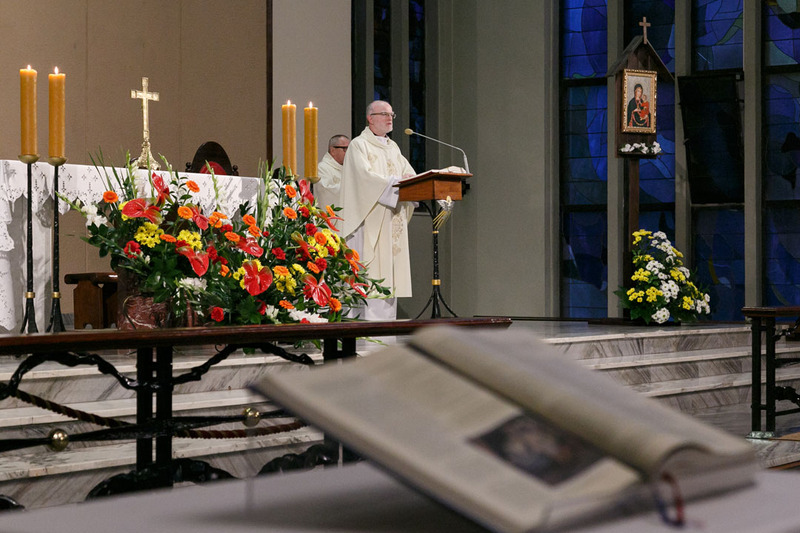 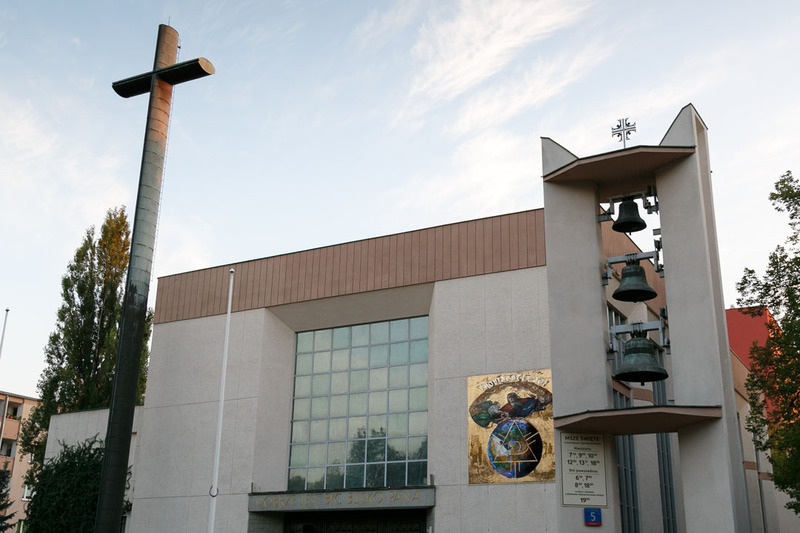 On the previous day, Holy Mass was celebrated in the local Catholic Church on ul. 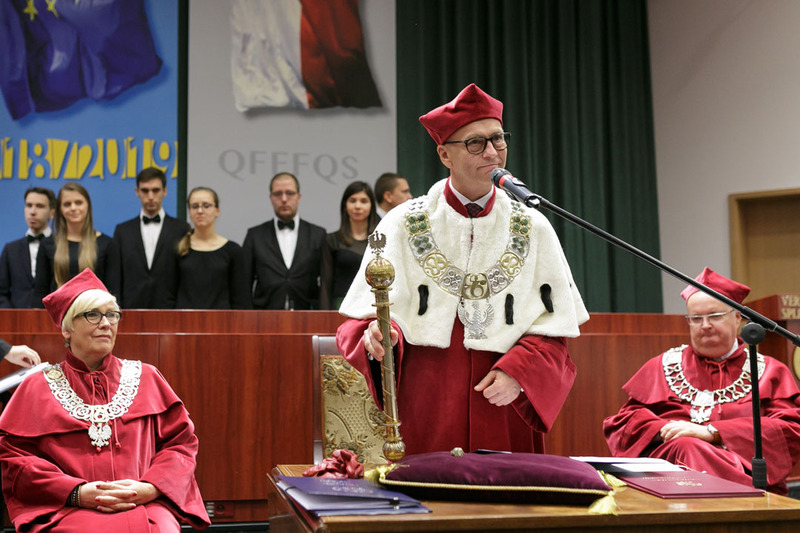 Dickens 5 in the intention of the inauguration of Medical University of Warsaw’s new academic year.